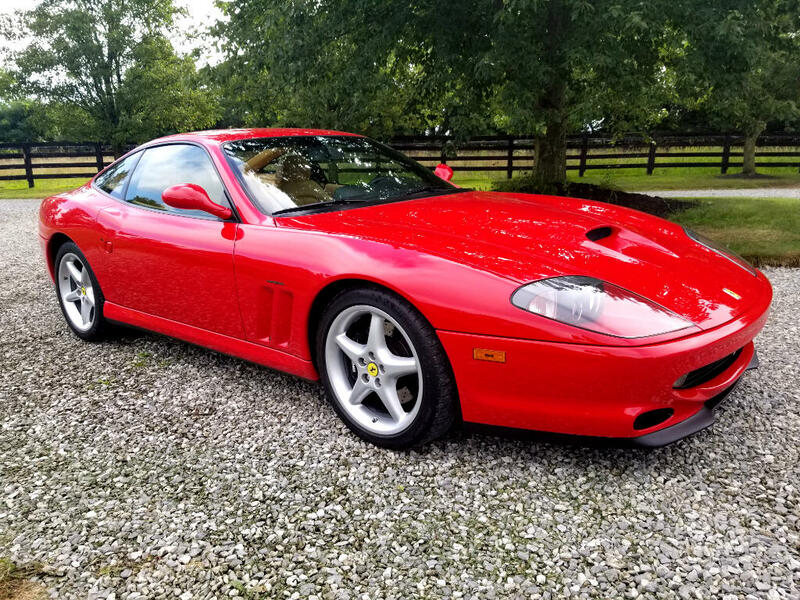 Used 1997 Ferrari 550 Maranello Sold in Johnstown OH 43031 Denny Dotson Automotive Inc.
We bought three Ferrari's from a local collector. A 2000 360 Modena, 1997 550 Maranello, and this 1984 308 GTSi Quattrovalvole. All three are of the finest condition you will find. This 550 has three pedals!! Bone stock with the exception of the much needed Tubi Exhaust system and Alpine head unit. Complete service history with the same Ferrari shop since 2004. 2K miles on the current major service. New Michelin Pilot Super Sports. No accidents or stories. Comes complete with all of the original books, manuals, two sets of floor mats, never used tool kit, fitted Ferrari car cover/bag, original radio/cd changer, service records, and both sets of keys with three key fobs(red one included). There are no apologies and nothing missing. Classic Ferrari colors, low mileage, great service, remarkable condition, and a real 6SP transmission make this one hard to pass up. Grab it while prices have softened before they go the other way again(which they will). Message: Thought you might be interested in this 1997 Ferrari 550 Maranello.